This video is a short video describing the steps to make your first pancake with PancakeBot! Miguel Valenzuela This video may help on the advanced settings. Also, here's the new beta software. The pressure setting determines how much pressure is in the batter dispenser unit. The lower the number, the lower the pressure and this is what you would need for a batter that is rather thin. The higher the number, the higher the pressure and you use that for thicker batter. 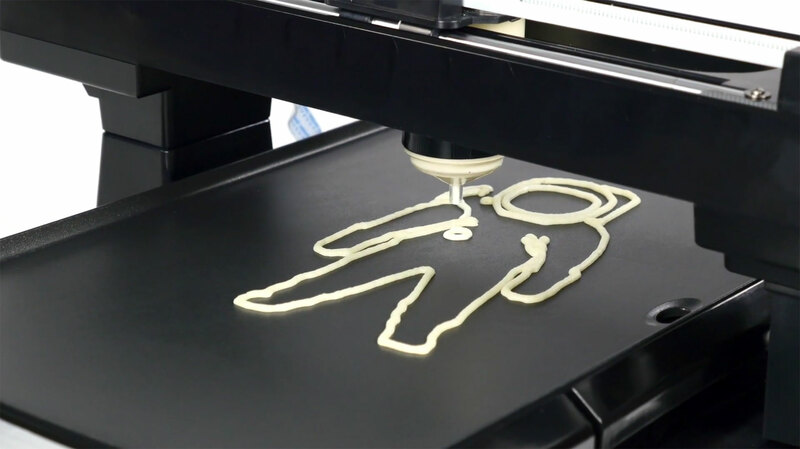 We are drawing Pancakes with the PancakeBot Pancake Painter!